GeoGone removes the geotag/GPS data embedded in photos to protect your privacy. GeoGone goes even further to remove the majority of EXIF/IPTC data contained in your photo. GeoGone provides you with the ability to view Meta/EXIF data in your photo. Rest assured photos you are sharing do not contain sensitive information. GeoGone does not manipulate your original photo. GeoGone works with a copy of the photo you select. Once you select to remove a geotag/GPS data from a photo, a non-geotag/GPS-free copy of the photo you selected will be saved in your Camera Roll. You also have the option to share the non-geotag/GPS-free photo within GeoGone. If you need to share it later, no big deal, the non-geotag/GPS-free photo will be in your Camera Roll. * Your Privacy: Apple requires that any application attempting to access your Camera Roll ask your permission to use location services. 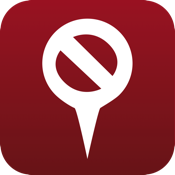 We do not track your location or use the geotag/GPS data embedded in your photos. We simply remove the data that was placed there from other applications. - Removes geotag/GPS location data from a photo. - Share your photo knowing there's no geotag/GPS data contained in the image. * Send you comments/suggestions to geogoneapp@gmail.com. - Not all meta data can be removed from digital photos, so there will be a small amount of image related data left over after the removal process. Feel free to browse the meta data. There will be no location or personal related data in the copy of the photo after GeoGone gets done with it!